Metro Cat® engine parts are built tough to provide maximum durability and extended life. Contact Metro Cat to help you determine the best repair option to minimize down-time and return your engine to service as quickly as possible. Caterpillar final drive and transmission parts work together to transmit power to the ground and propel Cat earthmoving equipment through a variety of applications all over the world. Caterpillar designs and manufactures the highest quality drive train systems in the industry, achieving superior machine performance. Genuine Cat drive train parts, along with excellent maintenance and repair options, result in maximum productivity and lower owning and operating costs. 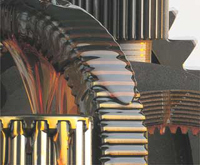 Drive train components must endure incredible torque, high impact loads, and frequent direction and gear changes. Caterpillar designs and manufactures its transmissions and final drive components with these demands in mind, using testing processes that simulate real world applications. The result is a drive train that lasts longer and works harder over the life of your machine. The two primary components are, the Transmission which takes the output from the engine and manipulates it to control speed, direction, and torque; and the Final Drive, which reduces speed and increases torque. Transmissions : The power coming from the engine must be turned into useful power by controlling its speed, direction and force. Transmissions do this by various means: hydraulically engaged planetary clutches and hydrostatic/ hydraulic drive. Each of these methods provides different characteristics of ground speed, torque, clutches maneuverability,and implement force. Because of the wide variety of work they do, Caterpillar products use several types of transmissions; each designed to convert engine power into the exact combination of speed and force required by individual machines. Torque Converters/Dividers : The power that is produced in the engine is multiplied in the torque converter and then transferred on to the transmission for use by the rest of the drive train components. Some CAT machines use a torque divider instead of the traditional torque converter, which divides the transmitted torque between the front and rear axles, with the rear receiving the majority. Brakes : Brakes are the components that slow, stop or hold a machine stationary. 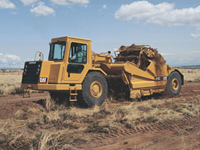 On Caterpillar machines they are located at the wheels of wheel-type machines such as this off-highway mining truck. In track-type machines, they are located on the axle shafts. Brakes usually work by pressing a non-rotating surface, such as a brake shoe, against a rotating surface, in this case, a brake drum. The resulting friction stops the machine. At this point where the two meet, the inertial force of the machine is sometimes converted into bake-oven heat. Drive Shaft : Drive Shaft is a means of connecting drive train components. It allows for misalignment in the drive. The output shaft connects to the transmission through a yoke and drive shaft or directly to the transmission input gear. Caterpillars exact design for proper measurements and precise machining ensures proper gear alignment. Special heat treatment achieves proper surface hardness, core hardness, and hardened depth. Superior components and well-maintained hydraulics are keys to doing more work each day and keeping costs in line. 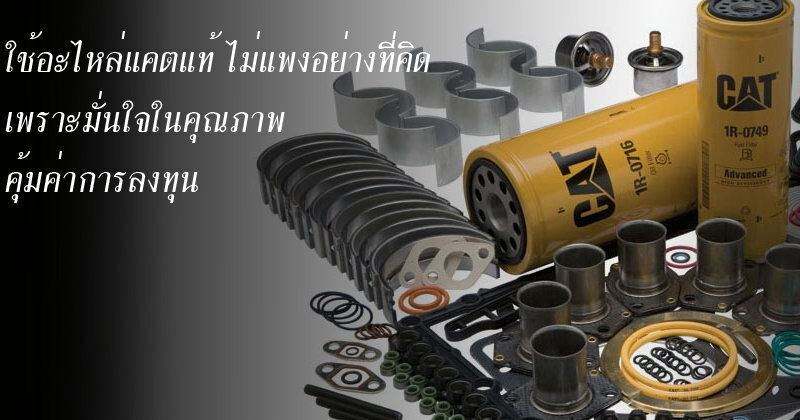 Cat engine parts are built tough to provide maximum durability and extended life. Metro Machinery deliver high quality fluids that improve the performance and extend the life of your equipment. Each lubricant and coolant is field tested and approved to ensure they meet each compartment's specific performance and cooling requirements. For a century, Cat's leadership in undercarriage research has resulted in greater machine productivity and undercarriage value. 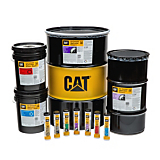 Quality is the critical link between you and maximum value from your Cat track-type machine. And no one has invested more than Caterpillar to assure consistently high quality and low cost per hour undercarriage. As a result of this, no other manufacturer can deliver the extended wear life, serviceability, and value of Cat Undercarriage. Cat Ground Engaging Tools are designed and built to deliver the protection and rugged durability you need for a variety of applications. Choosing the right Ground Engaging Tools (GET) is important to getting the highest return on your machine investment. ground engaging tools protect the expensive parts of your blades, buckets and ripper shanks. And the resulting longer life reduces your maintenance costs. Ground engaging tools also play a big part in determining how well your machine performs in a specific application. Caterpillar dealers offer many ground engaging tool options, because every machine and application has special needs. Our GET specialists and product support representatives are trained and experienced in matching the right tools to the application. Dealers can provide technical assistance in selecting the tool you need for each specific job. 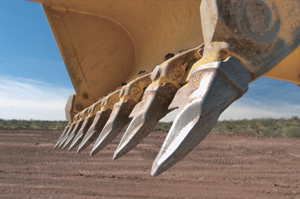 Caterpillar warrants most ground engaging tools against breakage. That is, if any should break during normal operation, at any time during their life, Caterpillar will provide a new replacement free of charge. Details of each warranty is available at any Caterpillar dealer. 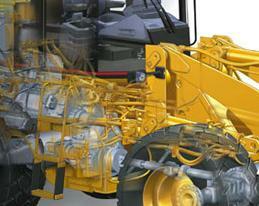 For specific ground engaging tool options for Cat machines, please visit your Cat dealer. Remember, never operate a bare bucket! Metro Cat® Classic™ Parts provide owners of older Cat products with competitively-priced repair alternatives that minimize the risk associated with non-genuine parts. Cat® Classic™ Parts are a value-priced repair alternative for owners of older Cat equipment. 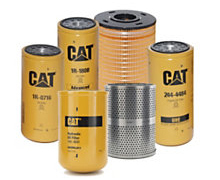 Classic Parts are another Cat parts product line to complement Cat original, Cat Reman, dealer exchange, and used parts. 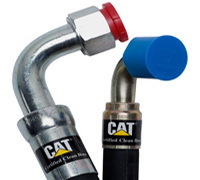 Cat Classic Parts help you manage your owning and operating costs as the age and remaining value of your older Cat equipment creates the demand for a more economical repair option. Remanufacturing is a viable alternative for any type of product made up of standard interchangeable parts for which replacement parts can be easily manufactured, built, or obtained. Remanufacturing is the process of returning a product at the end of its life to same as "new" condition in a manufacturing environment. It operates as a one-for-one exchange, in which end-of-life products are returned for a remanufactured product - reducing waste and minimizing the need for raw materials to produce a brand-new item. With a sustainable business model and a high-quality, lower cost product support option, Cat Reman is good for business, good for customers and good for the environment.